The Theodore Roosevelt Conservation Partnership is urging hunters and anglers to show their support for clean water and restoring Pennsylvania's rivers and streams by contacting their elected state officials to support increased funding for the Environmental Stewardship (Growing Greener) Fund. 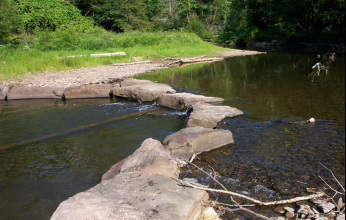 Clean water and quality fish and wildlife habitat are vital to Pennsylvania’s economy. That’s why support is needed for increased funding for the Environmental Stewardship Fund. According to a recent poll, 4 out of 5 Pennsylvania voters who hunt and fish also support the conservation efforts that the Environmental Stewardship Fund sustains, and it is not hard to see why. Click Here to write your state officials. For more information on programs, initiatives and how you can become involved, visit the Theodore Roosevelt Conservation Partnership website. Questions should be directed to Derek Eberly, Pennsylvania Field Representative, by sending email to: deberly@trcp.org.